We have direct contacts with a large number of shipyards in Asia, especially in China/Korea where, via our joint venture partners in Beijing, we can offer newbuilding opportunities and newbuilding supervision. 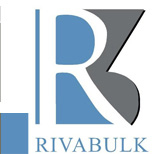 Rivabulk provides a full range of ship finance services world-wide including analysis and structure advice, financial advice , the arrangements of shipping loans, lease finance, refinancing of existing promotional products loans as well as mezzanine and equity finance for high profile investment projects. - representation of Chinese/Korean Shipyards.